There is growing demand in Asia for healthy Australian food but limited air-freight export hubs with appropriate bio-security measures in place. In 2016, food exporters from southern inland NSW were paying high prices to freight goods to Sydney airport. At the same time, new international flights from Canberra to Singapore highlighted the possibility of air cargo that could take local products directly to new target markets. Monaro district farmer Malcom Murdoch and a group of like-minded growers sought advice on improving export opportunities from Canberra and southern NSW. An airport upgrade is a complex proposal. To be successful, it must carefully gather supporters from multiple agencies and political groups. Planning for future collaborations. 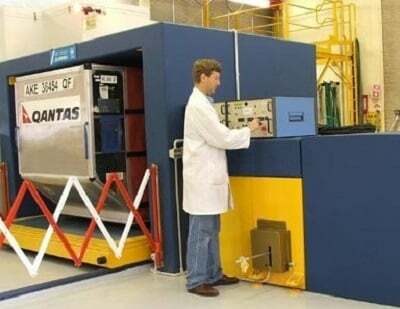 Biosecurity scanning needs are being reviewed. A Farming Together market development specialist, Daryl Young, facilitated meetings and stakeholder briefings for producers, industry groups, business advisors, logistics firms, and bio-security regulatory bodies. Key challenges and stakeholders were identified; in Yass, Parkes, Moruya, Wagga Wagga and Griffith. Then, Farming Together provided two legal specialists, with different views on business structures, who presented options in an open debate. A not-for-profit co-operative was most favoured. Farming Together provided assistance to establish the Regional Exports Co-operative. Those who engaged in the process could see how their operations could contribute and benefit. “This couldn’t happen if people remained in isolation. The process helped people to make connections and examine opportunities,” Daryl said. Now the group has a formal structure, their focus is on finding the best location, through an audit of cold-chain warehouse and logistics facilities in the region. 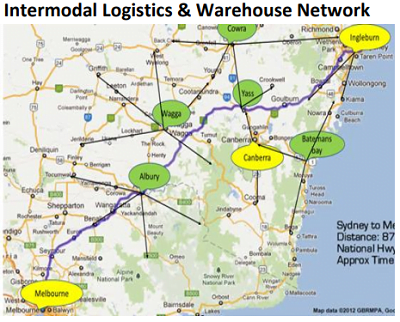 If freight costs can be minimised through collaborating, Sydney and Melbourne may still be the best way forward - with more frequent, predictable flights and existing facilities for perishables. “Meeting the rising export need for packaged perishables is important and air freight is the best option,” Mr Young said. The Group will seek non-Farming Together funding to examine resource planning, digital logistics and economies of scale to create regional employment… all heading towards a business plan. Busy.